Kayla joined the College of Engineering in Fall 2017 and currently serves as the Academic Advisor for Civil Engineering, Electrical Engineering and Computer Engineering on the Scott Campus. Her primary role includes one-on-one academic advising, academic recovery coaching, graduation requirements, connecting students to campus and community resources, and supporting student success. 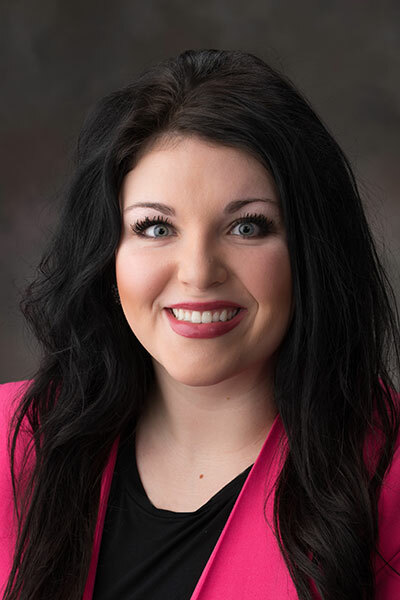 Kayla is an Omaha native, and attended Creighton University where she graduated with her undergraduate degree in Public Relations and Advertising in 2015. She received her Master of Science in Educational Administration with a specialization in Student Affairs Administration in Higher Education from Texas A&M University in May 2017 before returning to Nebraska.